Taxi's are readily available from the stand outside the hotel entrance on Upper Ground. The nearest bus stop is outside the hotel, serviced by route RV1. There is also a Barclay's Bike stand outside the hotel. We have live music every Wednesday from 7pm to 9pm for our Skyline Sessions. Thursday through Saturday our resident DJ's play from 9pm until late. 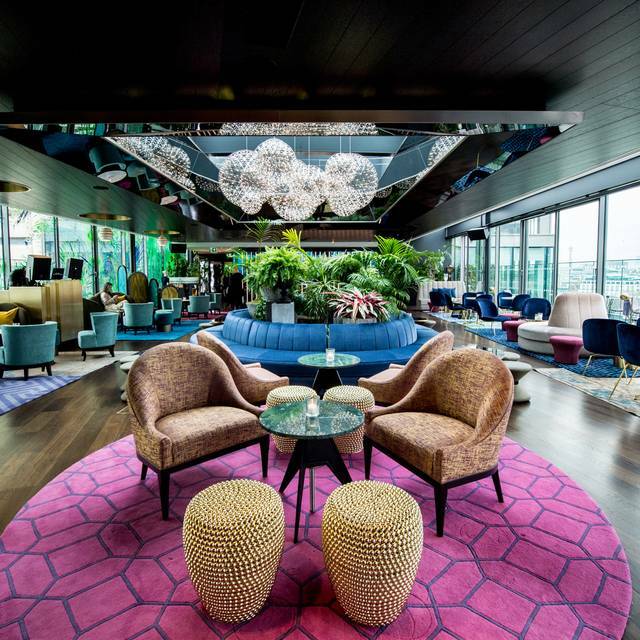 Join us on the 12th floor of the Sea Containers London and experience a bright and verdant riverside rooftop bar. 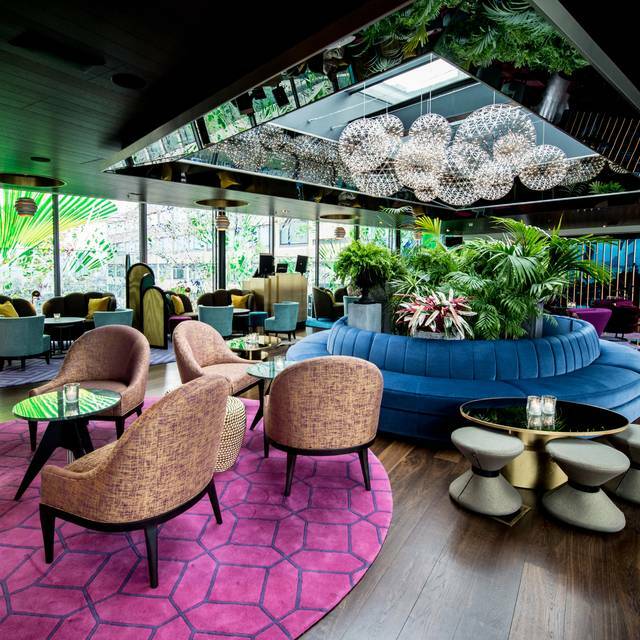 Expect lush greenery, plush sofas and comfortable lounge spaces, perfect for enjoying the iconic view morning to night-time. 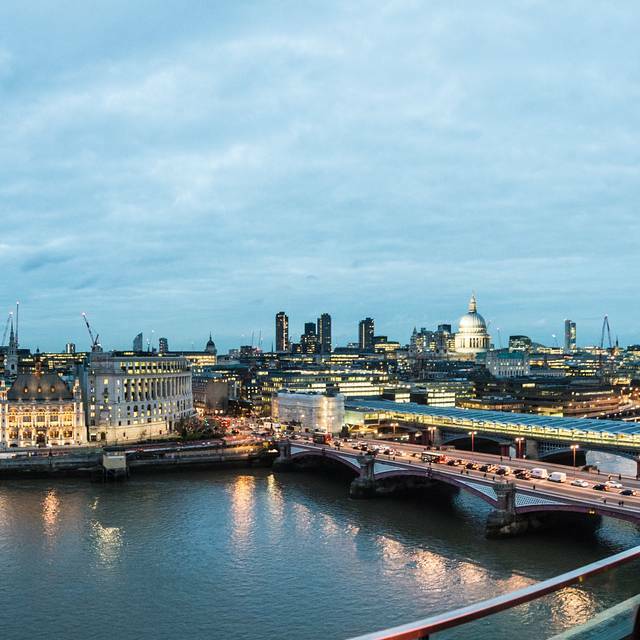 While you enjoy the iconic view, try our seasonal and ingredient-led cocktails and food and enjoy live music on Wednesdays featuring some of London’s hottest bands, as well as DJ’s Thursday – Saturday. 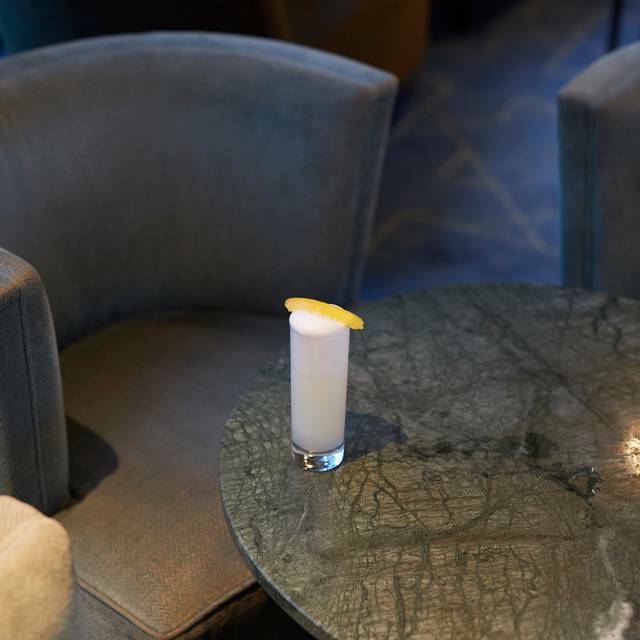 Grab some friends and join us in our elegant playground that will harness the youth and energy of the South Bank while projecting the glamour of modern London. Olmeca, midori, green chartreuse, agave, egg white. "Green thumb" - a natural talent for growing plants. Padron pepper infused tequila, melon and citrus. Sweet, spiced and refreshing! 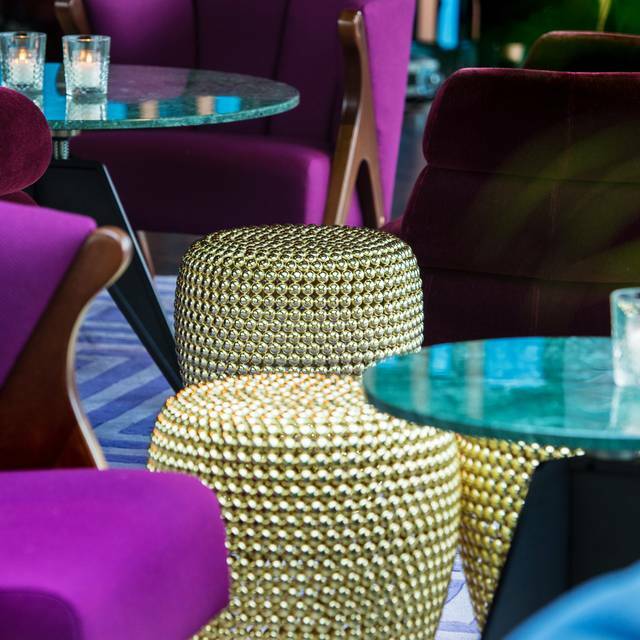 Rumpus Room is a trendy bar in the Mondrian Hotel, but with actual good vibes and drinks. It’s pricey, but worth the cost for the view. Loved the fab view and the delicious cocktails! I love this bar, great location, great food and service. Very relaxed evening with my friends. Cannot wait to go back. Excellent service and great views. The atmosphere was very nice and pleasant. Great views. Good space. Lovely team. Cocktails so good. Didn't eat so ignore that rating. Lift could be bit better directed. Perfect for a catch up with friends,. Visited on a Saturday night at 9 having booked in advance came with my daughter. We both felt comfortable and not ‘out of place’ despite the 30 year age gap ! Wonderful service, great staff ....everything was faultless ! lovely venue with great vibe, amazing views, service was very good and cocktails were very tasty! Very nice place And surprisingly not super busy - amazing views and smoking balcony! Best view we could have asked for. Great drinks and lovely decor. Extremely slow service, we were seated and took 40 minutes to receive our first round of drinks. An hour and half into being seated we were constantly reminded our time is ending and we have to give up the table soon. As well, orders were missed yet we were charged for. For two hours of being seated and slow service we only managed to get two rounds of drinks which is not acceptable service. Exquisite drinks, friendly staff, overall very much enjoyed it. A beautiful view and delicious cocktails - perfect. We had a wonderful time at the Rumpus Room, celebrating a birthday. The Hungarian waitress we had was an absolute delight and went out of her way to help us, including making us a fruit plate when asked. The red wine was good and she changed one of our drinks without any questions asked when it wasn’t that great. Would recommend and return! Excellent views, delicious cocktails! 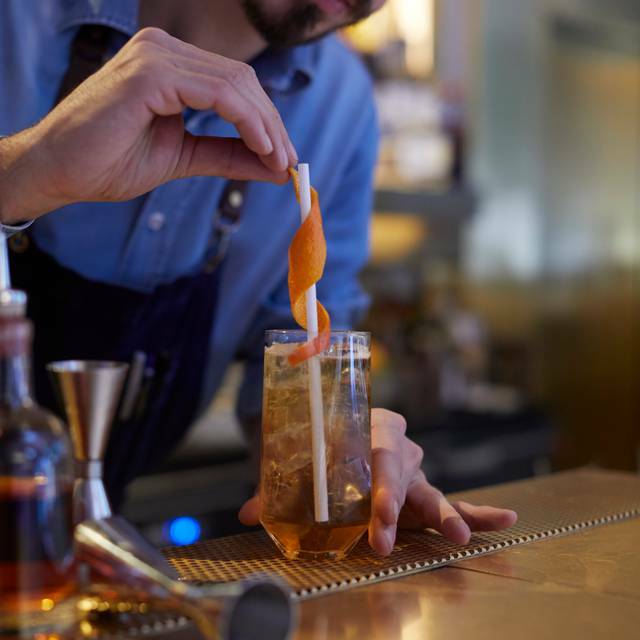 o=One of the best bars in London! Stunning venue but service was very slow until the end of our 2-hour slot where we were then reminded every 5 minutes for the last half an hour that our time was running out! Never felt so ‘on the clock’. 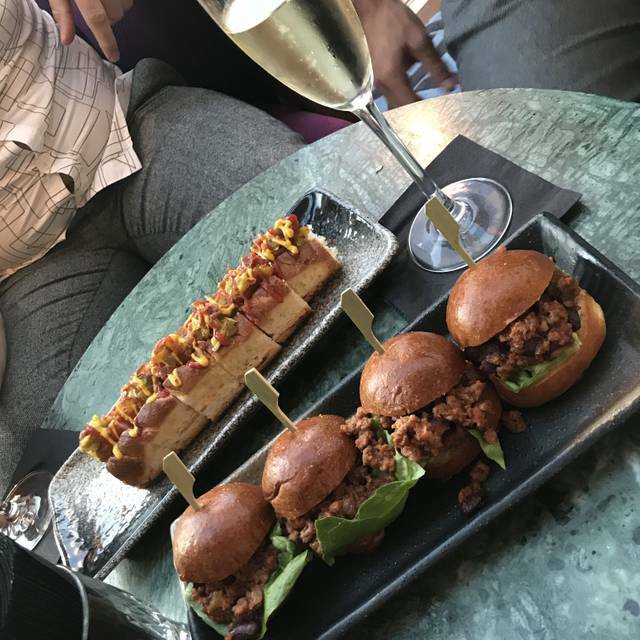 Cocktails were lovely but nibbles were very expensive considering other London bars provide these! Experience was absolutely lovely, we also dined at the restaurant in the hotel. Very happy with the service. One of the best spots in London. Reservation is only for 2 hours which you are not told when booking which is annoying and could ruin people's night. 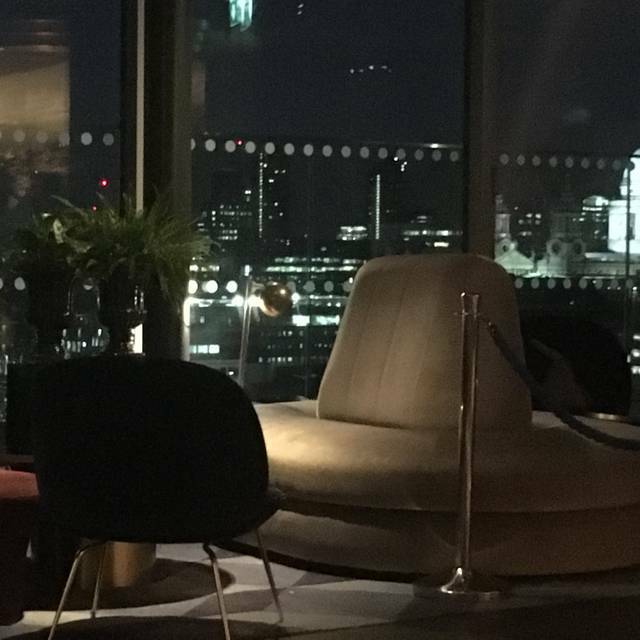 Excellent service, amazing cocktails, great ambience & views! Been there for a catch up with friends,nice place with very nice staff,all the time checking if you ok with the drinks .Amazing view .But a bit expensive. Extremely disappointed upon arrival by the poor and rude service provided by the gentleman/host at reception. I was running late and had telephoned to inform the same; was told it wasn’t an issue and that the table would be held. I arrived within 15 minutes of the reservation booking and upon arrival told that 1. I was lying about calling (and had to go through call log to prove this) and 2. There was nothing he could do as the table had already been given away. He was extremely rude and did not even think to offer an apology or look to accommodate us elsewhere. We therefore had to find somewhere to stand which wasn’t a pleasant experience, especially as we had attended for a special occasion. If you expect customers to provide their card details to book a table, the least your staff can do is apologise and try to be a little more accommodating when they mess up at their end. Fab view, good atmosphere and great for a special occasion!! Vista increible, el clima nos acompañó mucho. La atención muy buena. Los tragos a un valor similar a otros bares con vista (skygarden, ...). Los cócteles no fueron espectaculares pero todo bien con la tablet fría que pedimos. Recomendable para pasar alrededor de 1 1/2 hrs a cualquier hora del día, nosotros vimos el atardecer. Was so excited about going to this place but I’m sorry to say the front of house service was dreadful and so disorganised. Went on a Friday night having reserved a table, on arrival they couldn’t find my booking, was given a table of 3 even though the booking was for 4, someone arranged for us to get a different table to accommodate 4 of us once another party left but then forgot about us and we had to remind someone to get us another table and were told it was not possible so we had to try to locate the original person who said we could have another table and eventually we were given one. It really ruined the experience for the whole party. Apart from that, cocktails were ok (Dandelyon cocktails were better), we didn’t have any food so have given average rating. Views were incredible and venue is stunning. Really hope the service improves. We booked a table they put us in the window which was lovely we did have to wait but they kept in contact which was fab. Food was not awesome it was okay. Staff were lovely our Vodka cocktail was amazing. Would go again but drinks and few nibbles rather than things like sliders. They had a free photo booth which goes to your email dab idea. They had a function in with us but it was fine. Laid back and classy. Great decor and nice viewof St Pauls albeit not the best in London. Tasty cocktails and wonderful choice of spirits. Booked this two weeks in advance for a trip to London with my wife and I. Was called the day before to confirm our booking. Arrived at the front desk to be told by the concierge one seat area then changed it to another within seconds, I think they keep the special tables for the high flyers! Our hostess in this area was just the same as the other in terms of manners and friendliness. Stunning views over the Thames as night drew in. Please beware that even for a professional couple this is not a cheap night! Cocktails are £12-13 and a decent gin and tonic £15 so the maximum 2hour sittings was a blessing! Left with the wallet a bit lighter but a lovely couple of hours in hip and trendy place with great ambience. Only is when booking ask for a seat facing the Thames and dress to impress to get a nice seat from the concierge on the desk. Also did not eat but based the score on other people’s responses to the food. The service and view are amazing! There was also very nice music. We went for a girls night out, it was definitely a good choice. Cocktails were fine but nothing outstanding. 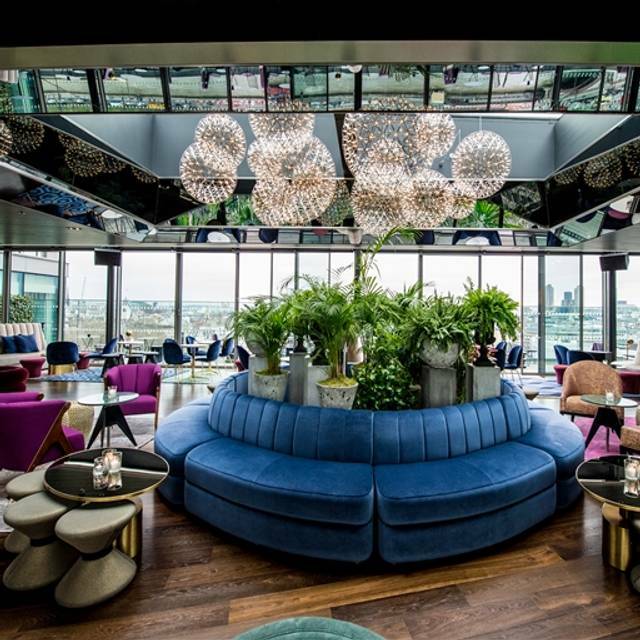 Whilst Rumpus rooms was very well set and well kept with great service from the waitresses and a level of professionalism was apparent, taking a customers card to put in a card box is not common practice. I could understand the card box being brought out to the customer but leaving with a customers card is highly unusual and I would be very hesitant in returning on this basis. Didn't have any food. Definitely worth booking a table. A really great atmosphere and great music. Pricey, but a really great bar and atmosphere - esp Wednesday eve with the live music. Really chilled, great service and the food was AMAZING!